Pierre Celis is a beer legend to many. His name is synonymous with the Belgian-style witbier, or “white,” beer style. The style was completely gone by the mid-1950s. But it was Pierre Celis, a milkman from the village of Hoegaarden in the Flemish Brabant province of Flanders, Belgium, who resurrected the style in 1966 when he founded the first Celis Brewery. By 1985, Pierre Celis not only had brought the Belgian-style wit back to Belgium, but the style had also spread all over the world. Life changed drastically in 1985 when Pierre’s brewery burned down. The brewery was not insured. Celis had little choice but to sell to what is now Anheuser-Busch InBev. The new ownership changed the recipe, according to Pierre’s daughter Christine Celis. He sold his shares in the new company and uprooted his family, which included Christine, to Austin, Texas, where Pierre opened Celis Brewery once again in 1990. Fast forward 10 years and Celis Brewery had reached a point where Pierre had difficulty keeping up with demand. Miller Brewing came calling and Pierre sold a majority stake to the brewing giant to help expand. Six months later, Miller pulled Celis out of 25 states, which signaled the end. By 2001, Celis Brewing was done. Much like a Phoenix rising from the ashes, Celis is being reborn. 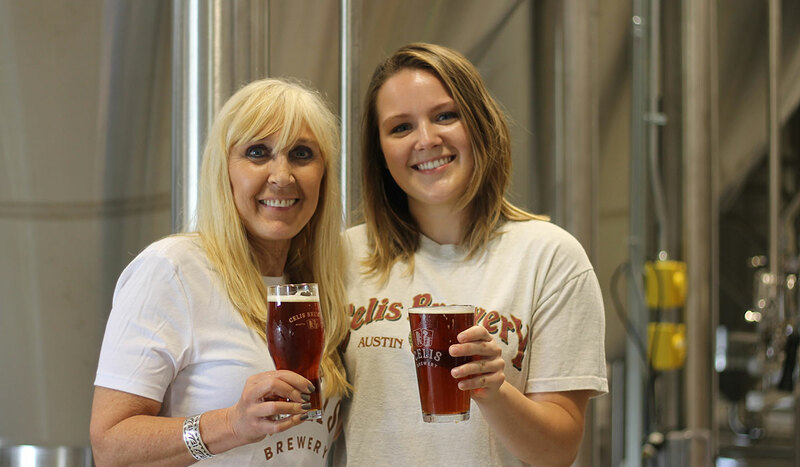 Christine Celis, along with a few investors, and her daughter Daytona Camps, are reopening the iconic Celis Brewery in North Austin. “This has been a long road,” Christine tells us. “We have been working for years now to get the brewery back and under family ownership.” Continuing her father’s legacy is important to Christine and Daytona. Celis 3.0 has already started brewing operations. The taproom opens in summer 2017 and beers will be available in stores around Austin by August. “We have tried to be faithful to my father and still keep an eye on what the industry has become,” Christine says. 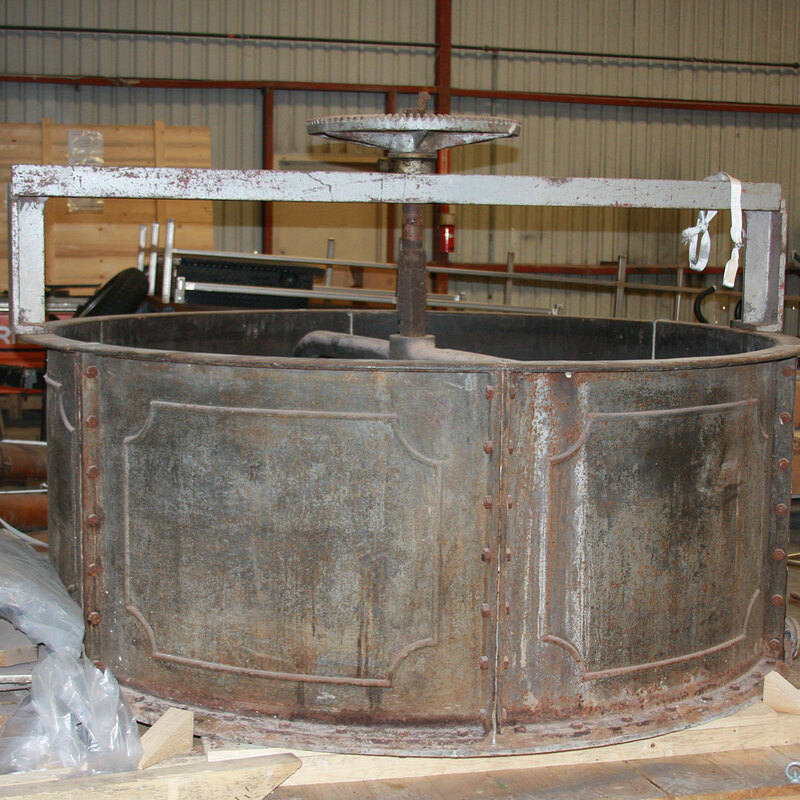 Christine has recreated the Celis bar from the first Austin brewery by using the Celis mash tun. She also raised funds to bring the Hoegaarden brewing equipment her father used in 1966. “I remember being three years old, crawling into the open fermenter to help clean out the yeast,” says Celis, who smiles as she remembers this time in her life. A museum adjacent to the new brewery will house the equipment and other memorabilia. Christine and company plan to have the equipment restored to usable condition. “We would like to have brewing classes on the original equipment, to teach once again the techniques used in the 19th Century up to my father’s time in the 1960s,” she explains. 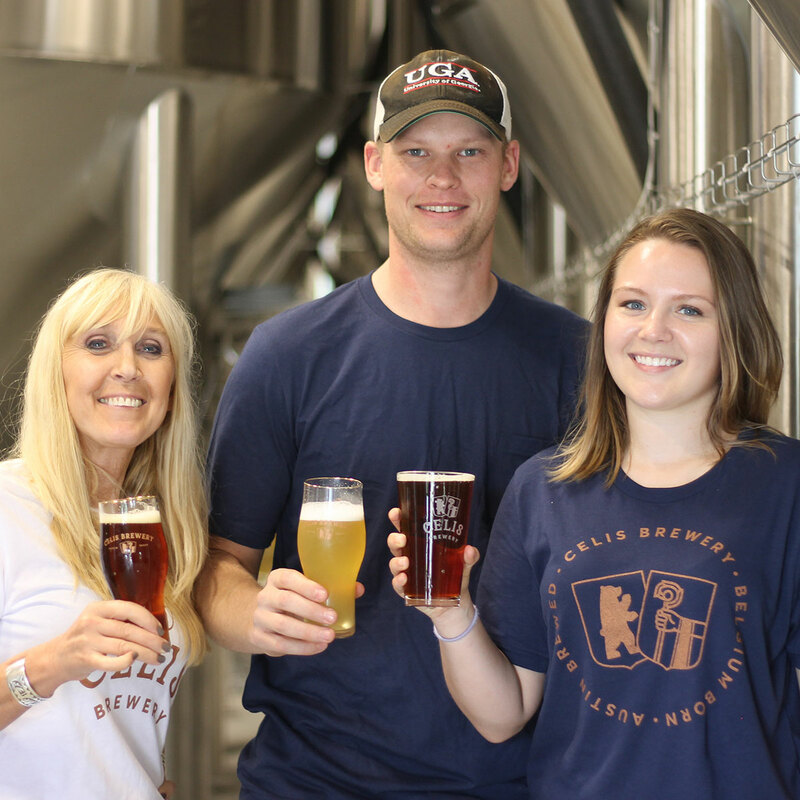 But Christine Celis, who once used roller skates to get around her father’s old brewery, is modernizing this next chapter in Celis Brewery. There’s a 50 hectoliter (42.60 barrel) brewing system with a hot liquor tank outside to help keep the brewhouse cooler; there are also 100-barrel fermentation tanks and the malting room on the second floor. Christine was able to get her father’s original yeast strain back. It had been stored in Belgium for propagation and safe keeping, allowing enough yeast to propagate by the new brewery’s opening. Initially, Celis will brew its well known Pale Bock and an East Coast style IPA, with the famous Celis White, Grand Cru and others to follow. Heading up the brewing is former Rahr and Sons’ brewer Craig Mycoskie who brings a wealth of brewing industry experience. Christine’s daughter Daytona Camps, granddaughter of Pierre Celis, will round out the brewing team at Celis. Camps found a love of her family’s history and brewing when she was 19. Initially, she brewed at Uncle Billy’s in Austin for two years. After leaving Uncle Billy’s, she guest-brewed around the U.S. and Europe so she could gain more experience. Returning to Austin, Camps continues the Celis tradition. Celis is back and with it a grand brewing tradition from a family passionate about beer and protecting history. Jeremy Banas is a freelance beer writer who writes for such publications as the San Antonio Current, San Antonio Magazine, TheFullPint.Com, the Brewers Association and craftbeer.com. He is also the author of two books, "San Antonio Beer: Alamo City History By The Pint" (co-authored with Travis Polling) and the upcoming "Pearl: A Heady History of San Antonio’s Iconic Brew" to be released fall of 2017. 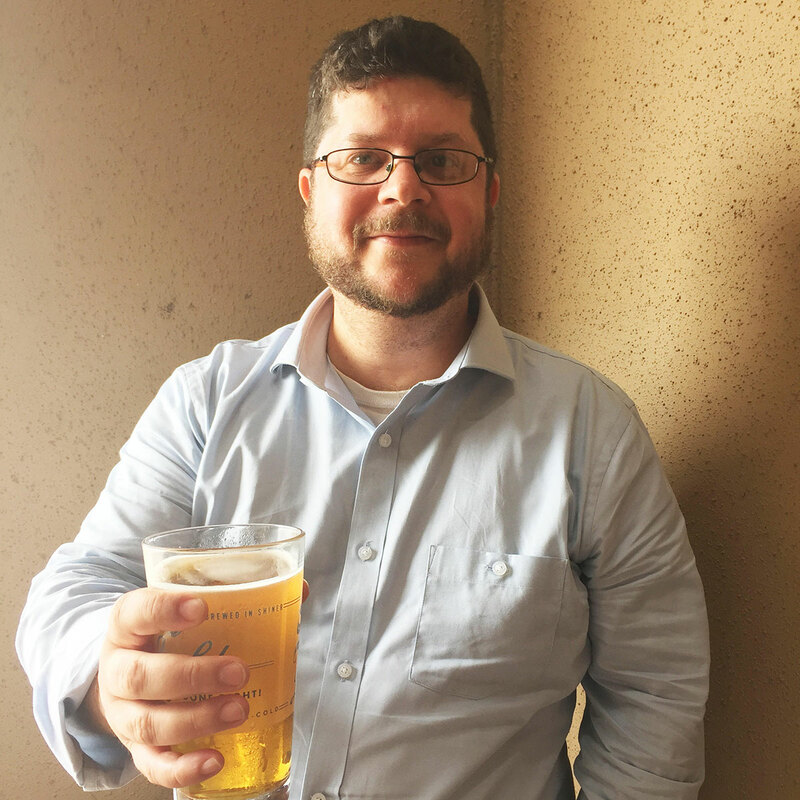 He has judged numerous beer competitions, serves as a founding member (and committee member) of San Antonio Beer Week, hosts beer dinners and lectures. He resides in San Antonio, Texas with his 3 boys Quinn, Jack and Maxwell.